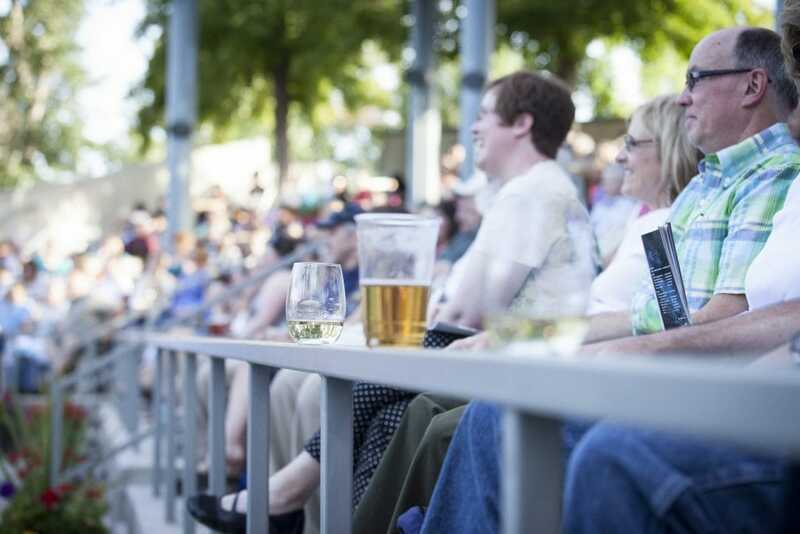 Where is the Idaho Shakespeare Festival Amphitheater & Reserve? The Amphitheater & Reserve is located at 5657 Warm Springs Avenue, along the Boise River, adjacent to the Idaho Department of Parks & Recreation offices. For a map of the directions, click here. Can I bring my own food and drink into the theater? Certainly! Picnicking is encouraged as an ISF tradition. If you don’t have time to pack your own, consider purchasing appetizers and drinks, dinners and/or desserts at Café Shakespeare, where a portion of the proceeds benefit the Festival. The Amphitheater & Reserve is accessible to wheelchairs and is equipped with an assistive listening system. To reserve wheelchair seating, contact the Box Office at (208) 336-9221 in advance of the performance. A convenient “drop-off” zone for patrons is located immediately at the main entrance into the grounds, as is designated parking for seniors, expectant parents and patrons with limited mobility. June – August, Tuesday – Saturday, the amphitheater opens for seating and picnicking at 6:30 p.m. and on Sundays at 6:00 p.m. For all September performances, Tuesday – Saturday, the theater opens at 6:30 p.m. On Sundays in September, the theater opens at 6:00 PM. 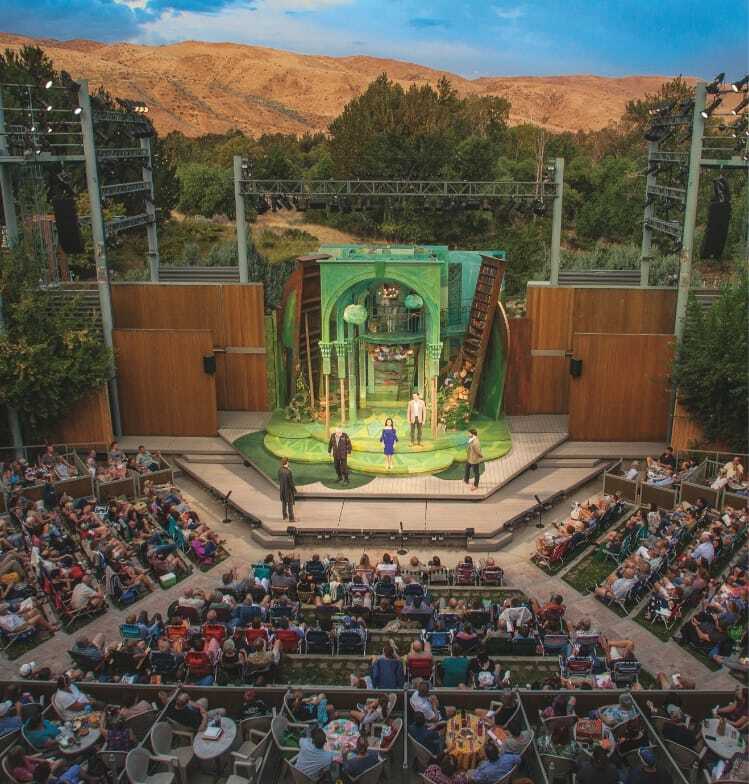 The Shakespeare Café opens daily at 5:30 p.m., and the picnic areas and patio outside of the amphitheater are always available for use before the theater opens. Patrons arriving after a play has begun will be seated at the discretion of the House Manager. What time do the performances start? For June – August, Tuesday – Saturday, the performance begins at 8:00 p.m. Sunday nights June through August, the performance begins earlier, at 7:00 p.m. For our September schedule, the performance begins at 7:30 p.m., except Sundays, when the performance begins earlier, at 7:00 p.m. The Festival’s Amphitheater & Reserve has ample parking on surface lots at the entrance to the Festival grounds. A convenient “drop-off” zone for patrons is located immediately at the main entrance into the grounds, as is designated parking for seniors, expectant parents and patrons with limited mobility. Yes. The availability of the theater varies by time of year and the Festival’s main stage season. The Interpretive Center has year-round availability. For additional information, Click Here. 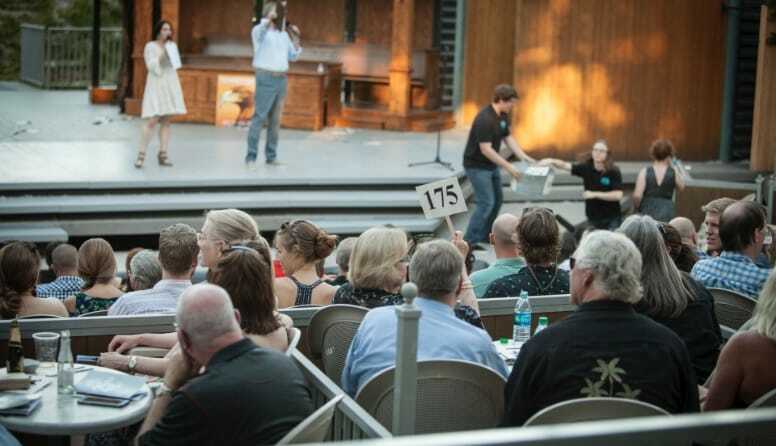 The Gala is the Festival’s single annual summer fundraising party to be held in July at the Amphitheater & Reserve. Join us for both a live and silent auction featuring unique items, a delightful and elegant dinner served riverside, plus socializing and fun. Proceeds benefit Festival programming. Tickets are $175 per person. Tables of eight are available for $1,400. Corporate tables of eight are available. Reserve through the Festival offices at (208) 429-9908, ext. 207. Generously sponsored by Tates Rents and Lisa Peterson Catering. Productions can vary widely in length. Most performances run approximately 150 – 180 minutes (2 1/2 to 3 hours), although some (particularly Musicals and performances in September) run approximately 90 – 120 minutes (1 1/2 to 2 hours). Most plays include a 15-minute intermission. For more detailed information, contact the Box Office at (208) 336-9221. Preview performances afford audiences a “sneak peek” at the completed production and offer a reduced ticket price. Be the first audience to see the play in its entirety with directors and designers in the house. The Preview performance is the first Friday of each play. Please see the calendar for dates. What's Family Night & what about content? Family Nights are the first Sunday after a play’s opening night and offer families the opportunity to bring young children at discounted prices to see a show. Children under six years of age are admitted ONLY on Family Night, at no charge, and are not provided with reserved seating unless purchased. A discounted $13 plus tax Youth Ticket is available for ages 6 – 17. Family Night performances — like all Sunday performances — begin at 7:00pm. If you have specific questions about content, please call the Festival offices at (208) 336-9221, content is not significantly altered for Family Nights. Once a season the Festival designates an Educator night with steeply discounted tickets for Educators and a guest. See the June calendar for the current Educator night and call to reserve tickets. After a period of about five minutes, your ear will become attuned to the rhythms of the language —and the Festival program, provided free to audience members, has play synopses and character listings. The Festival company is very talented at making the story engaging and clear for any viewer. What is the Greenshow Mini-Concert Series? May through August there is a Greenshow Series on select nights, mini-concerts or other performances. Please click here for more information. 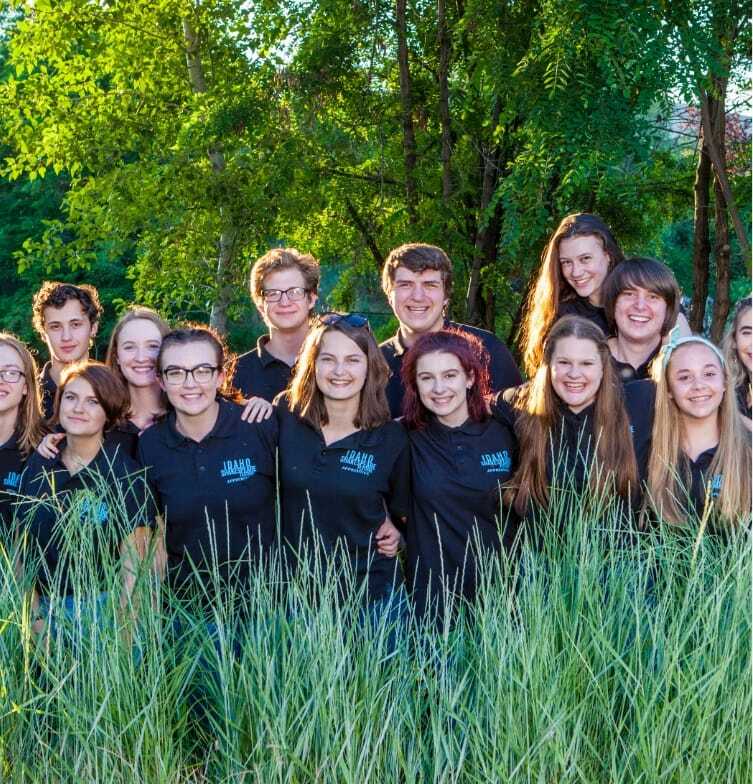 Greenshow series events generally start at 7:20 p.m.
To find out more about Mini-Concerts click here. To see who is playing on a given evening click on the play title from the calendar. Click here to purchase online or call the Box Office at (208) 336-9221 or mail to: ISF, Attn: Tickets, P.O. Box 9365, Boise, ID 83707 (please allow one week for mail orders). When I purchase a Lawn Seat do I really sit on the grass? Reserved lawn seating is divided into tiered grass levels, located at the front of the theater. We encourage you to bring blankets and low-back lawn chairs with seats no more than 6 inches from the ground, and the back no higher than shoulder level. You may also rent a lawn chair at the Festival’s Souvenir Stand for $2 per chair. Click here to view a seating map of the Amphitheater. When I purchase a Chair Seat do I have to bring my own chair? No, the chairs are provided. The Reserved Chair section is located in the center of the theater, and consists of tiered rows with plastic chairs for seating. As with all other areas of the theater, picnic dinners are welcomed in the Chair Seating section. Click here to view a seating map of the Amphitheater. What is the Hillside seating area? The General Admission Hillside is a sloped grass area, located at the rear of the theater. First come gets first pick of seating in this area and patrons are welcome to spread out a blanket or pillow to sit on. Chairs are allowed in this area, but please be sensitive of those behind you (legless chairs work best). Click here to view a seating map of the Amphitheater. What are the Boxes and Mini-Boxes? Boxes offer premium seating for six and Mini-Boxes offer premium seating for four. Both the Box and the Mini-Box offer you chair seating with a table for your picnic dinner. Seating is located along the center and side aisles of the theater. Click here to view a seating map of the Amphitheater. I'm sitting in seats 2 and 4. Are they together? Yes they are. The manner in which the seats are numbered varies depending on the area of the theater you’re sitting in. The center lawn is the only area of the theater where the seats are numbered consecutively (101, 102, 103…). All other reserved lawn or chair areas are separated into odd numbers indicating seats on the left side of the house and even numbers indicating seats on the right side of the house. Therefore, if you have tickets for Row J, Seats 2 & 4, your seats will indeed be next to each other. A light sprinkle won’t usually affect a performance. Performances are NOT canceled before the scheduled curtain time. Should a performance be canceled before intermission because of weather, your ticket stub will serve as a Rain Check to another performance of the same play. Rain Checks are not refundable for cash or credit. $2.00 fee per ticket for single tickets outside of 48 hours before scheduled show time each time a change is made. $5.00 fee per ticket for single tickets and subscription tickets within 48 hours of show time. All tickets must be used for the play and date ticketed. Ticket sales are final and are non-refundable. Tickets returned to the Box Office may qualify as a tax-deductible donation if received prior to the performance. If you arrive on a non-Family Night with children under six, you will be offered a ticket exchange for another evening of the same production. What happens if I miss a show? All ticket sales are final. Tickets can be re-booked by calling the Box Office within 48 hours after the show that was missed for a fee of $5.00 per ticket and based on availability. Patrons arriving after the scheduled curtain time will be seated at the discretion of the House Manager. Do you have student, educator, and senior discounts? Tickets for Preview Nights and Family Nights and general admission tickets on the hillside represent Festival ticket discounts. Single tickets for patrons with a valid student ID are available in advance on the general admission hillside for $22 plus tax any night. Patrons with a valid student ID may purchase our “Screaming Deal” Student Season Tickets, allowing advance reservation in reserved seats for outrageously low prices. Rush tickets in remaining reserved seating are available for patrons age 25 and under, and students the evening of a performance one hour before curtain time for $20. Educators Night- Once a season the Festival designates an Educator night with steeply discounted tickets for Educators and a guest. See the June calendar for the current Educator night and call to reserve tickets. Does the Festival offer Group ticket discounts? Bring your neighbors, book club, civic organization, employees or any other group of ten or more to the Festival and receive discounted tickets, flexible seating options and a personalized welcome. Group dining options are also available. For pricing, details and availability please contact (208) 336-9221.